So, I've been a "busy bee" over the past weeks but for a good reason: we've been preparing our new "all-in-one" solution to making money with local businesses (and you don't have to be physically "there" to use this). 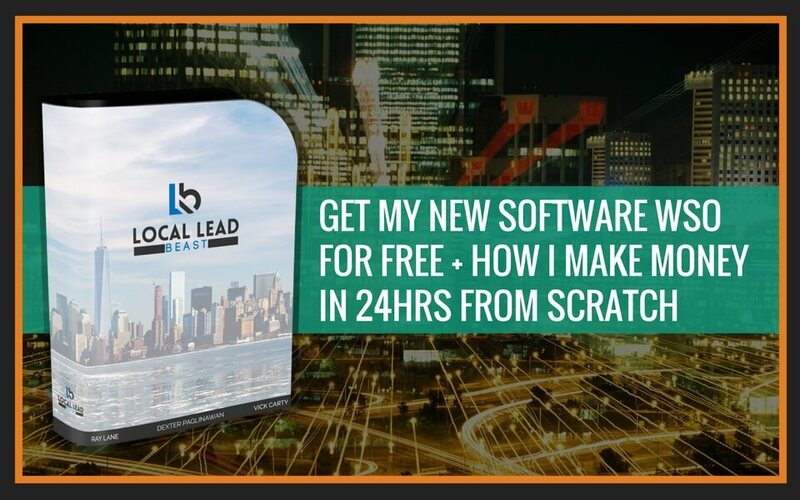 Basically, it's a software + information + swipe + done-for-you product rolled in one place... with the goal of making a profit within 24hrs. Here's the thing about this: if I needed to make a buck within 24-72hrs and I had nothing else (no reputation, no big budget, no list, no info-product, etc) , this is what I would do. I'm pretty sure this will give me the results "I need", because I've "been-there-done-that"). That's why I am confident about this being duplicable for you, too. Having access to this kind of tool + businesses model is like having a "insurance" for the rainy season - you can implement immediately when you need to! My favorite part about this all-in-one package though? Everything is simple. First, the software has solves a really VERY specific task - no fluff, no confusion, no learning curve on your part. Second, you get the training about how the method works in a direct manner (so you save time)... plus you get the "swipes" and the exact high-quality products to run this as a business. Pretty cool huh? And everything I just mentioned are included in the front end! OTO3 is a special invitation to an online bootcamp - basically, our best way to help you. A way to get in touch with us thru LIVE sessions, with a backend membership site containing some of our very best secrets to making money online + case study interview sessions with some of the best netrepreneurs today. Hey there buddy, what's in your mind? Hello, Hoping to receive this one!! Thanks for joining. We will have another giveaway for our next product. Good luck!